Shopkick is an app that rewards you for shopping and even just checking in at stores. 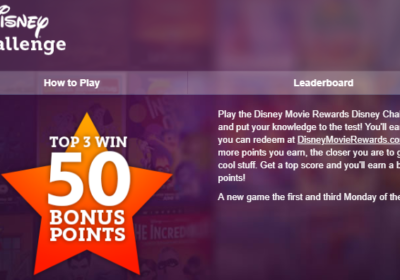 On the app, each store has a variety of ways to earn “kicks” by interacting with the store. 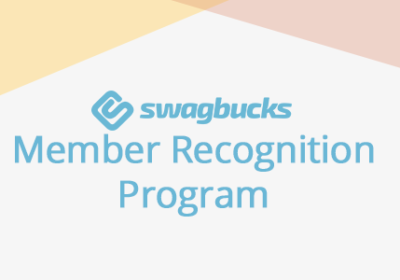 You can get walk-in kicks, kicks for scanning products, kicks for clicking through to an online store, kicks for uploading receipts, making a purchase with a linked card, or scanning a QR code at the register. 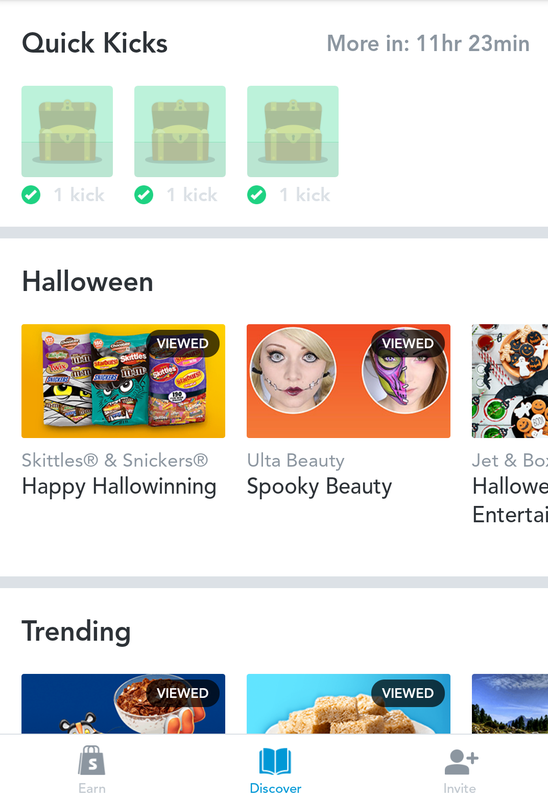 You can also earn kicks on the app by browsing their Discover section, watching videos and clicking through sets of ads. Each one only earns a kick or two, but if you open the app and click through the Discover section each day, it adds up without having to set foot or mouse in a store. 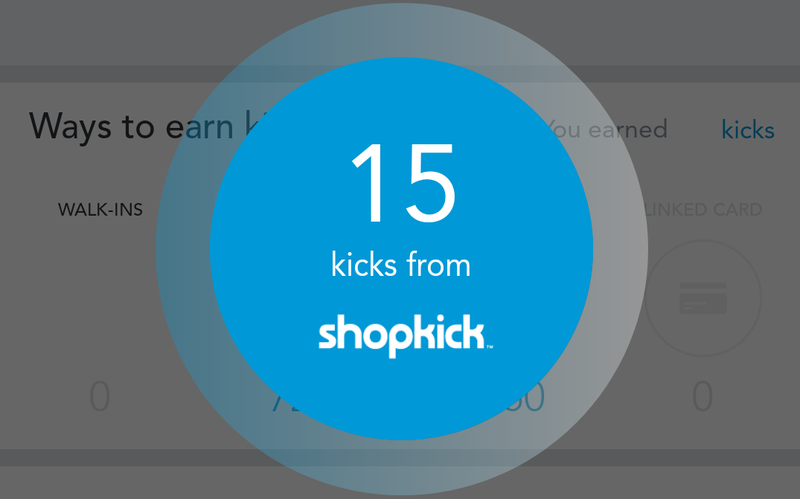 One of the most appealing aspects of Shopkick is the chime that sounds when you earn kicks. I don’t know why I love it so much. It’s like the dinner bell to Pavlov’s dogs! However, Shopkick is a very slow earner, at least for me. I have my reward set to a $5 Target card, which I’ve been working towards since August, and I’m only 3/4 of the way there, which is mostly due to a recent single shopping bonus at Walmart. Half the time I forget to open the app for a walk-in, and I don’t look for deals I might actually use, like when Maggie and I bought nail polish last month. The reason it’s such a slow earner is because their points are worth very little. This makes them a poor choice for clicking through to make a purchase online. You’ll find much better portals through Cashback Monitor. You may find some sweet spots on Shopkick for in-store deals where you upload a receipt or use a linked card. So check it out, even if it does earn slowly, there is definite value there, especially if you’re patient. 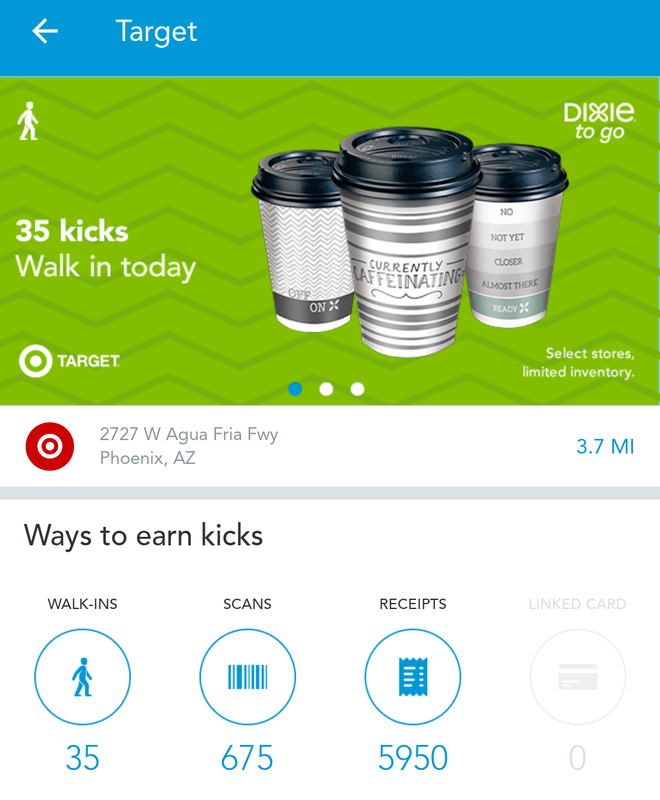 By walking in stores, scanning products, and checking out the Discover section, you can be on your way to a shiny new e-gift card, and I guarantee you will look forward to hearing that blinging chime every time you earn your kicks! 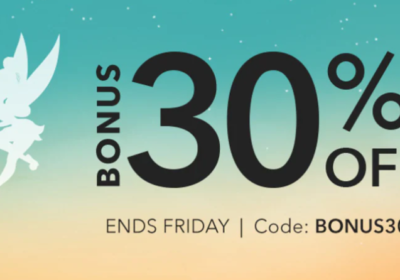 Use the Shopkick link anywhere in this post to sign up using my referral. You’ll need to complete your first walk-in or scan within the first 7 days of signing up. That way, you’ll earn some bonus points, and so will I!